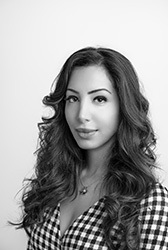 Hala Al Zayani is the founder and director of Ballare School of Performing Arts. She started dancing ballet at the age of three. It was extremely evident from a young age dance was going to be a large part of her life. Hala spent seven years of her life dedicated to her passion with various dance schools in Bahrain and America. She joined “TA-DA” Dance Productions in Oregon for two years as a Company Dancer and never looked back. Soon after, she decided to continue her education in London at Millennium Performing Arts. Millennium gave Hala the opportunity to further enhance her technique in all dance styles including, Ballet, Jazz, Contemporary, Tap and Musical Theatre within a professional artistic atmosphere in a city full of theatre and art. After having graduated she moved back to Bahrain, Hala began teaching at Victoria Dance as well as choreographing for a Musical Production Company called MASK. Hala is completely dedicated to offering Bahrain the best of performing arts in every way possible. She is so excited to have launched Ballare on September 25, 2011, and she is even more delighted to see the fantastic response in students. She believes Bahrain has a great amount of artistic talent that is just waiting to arise and is delighted to provide a well-structured creative curriculum for students of all ages and abilities. Ballare School of Performing Arts offers a wide selection of classes provided by a syllabus of authenticity accredited by the International Dance Teachers Association (IDTA) with a team that consists of IDTA certified, qualified and nurturing instructors. Piano lessons are also provided at the school with two exam classifications, which include the Associated Board of Royal School of Music (ABRSM) and the Associated Russian System - Life in Music. Hala Al Zayani, is a proud member of the International Dance Teachers Association Ballet and Freestyle Faculty. She is the first Bahraini to gain an Associate Ballet Diploma, Freestyle Diploma, as well as Anatomy and Physiology Diploma within the Association. The International Dance Teachers Association is one of the world’s largest examination boards, covering the full spectrum of the dance examinations on a global scale, with over 7,000 members in 55 countries. 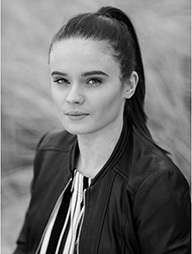 Ballare School of Performing Arts would like to proudly welcome our brand new Dance teacher & Choreographer Ms. Laura Jarvis from Manchester, England, to the Ballare team joining us this September 2017. Laura has just graduated from the outstanding Performing Arts School “Phil Whinston’s Theatre Works” in Blackpool, England a well renowned Dance & Musical Theatre Centre of Excellence run by the award winning English dancer, dance teacher and choreographer Mr. Phil Whinston FIDTA, Honorary Member of the BATD, Examiner, Lecturer, Adjudicator, Member of the Modern Jazz Technical Faculty, International Dance Teachers Association (IDTA) Board Director. We would like to welcome Laura with open arms this Fall term to our studio and look forward to an outstanding year having her as a teacher right here at Ballare School of Performing Arts! Ms. Valentina is highly qualified, trained, as well as educated with both an Undergraduate and Master’s degree in music. She also holds years of teaching and training with children from the age of 4 years old all the way up to adults! From 1990 – 1996 Valentina attended the Mogilev Musical College gaining an undergraduate degree in Music. 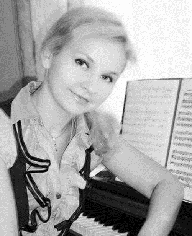 From 1996 – 2001 she attended the Belarusian National University of Culture, gaining a Masters degree in Faculty of Music Arts and Stage Vocal Development. 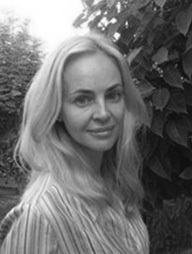 Valentina’s extensive teaching experience includes 8 years of “Stage Vocal Teaching” in the Minsk University of Modern Knowledge. Two years of teaching at the Bahrain Private Music School “Harmony”. Six years of teaching at the Bahrain “Life of Music School”. Two years of teaching at the British Preparatory School as a Music Teacher. With over seventeen years teaching and performing experience, Valentina is now ready to share her knowledge teaching a wide variety of all levels from beginners to advanced in many different vocal styles including, Classical, Pop, Musical Theatre and more. Valentina also teaches, ensemble, duets, as well as soloists, using different soft programs to further develop and enhance singing techniques. Valentina is well known for her unique style of teaching towards catering to individual students of all ages, levels, and abilities using the classical and moderate repertoire with various songs, as well as the expansion of the vocal chords. Valentina is thrilled to now be teaching at Ballare School of Performing Arts and is looking forward to meeting all her new talented students. Elena attended the Mogilev School of Music and Arts, Mogilev, Belarus (secondary school) where she gained a General Certificate of Education and an Advanced Certificate of Music (Forte Piano). Following her secondary education, between 1989 and 1993 she studied music and music teaching at the Rimsky Korsakov Institute of Music and Arts, Mogilev, Belarus where she earned a Bachelors' Degree in Music, Choral Conducting and Piano. Following a two year period teaching music, she decided to take up Law and attended the Faculty of Law at the Belarusian State University in Minsk between 1995 and 2001 where I gained a Specialist Degree in Law. Following graduation from University, her passion for music overwhelmed her interest in practicing law and she returned to a career in music becoming the director of music of a Russian Folk Band in Belarus. Following her marriage in 1993, she began teaching music as a private tutor to a number of children in Bahrain. By word of mouth and recommendation she soon had a full schedule, teaching most afternoons. In 2011 she took up a part-time position as a piano teacher at the Life in Music School, Bahrain. During her teaching career she has taught piano individually and to groups of students from as young as five up to adults with levels of ability from those with no previous musical training up to exam level. She develops strong relationships with her students and encourages parents to participate in their home studies to enhance the children's musical development. She believes in creating a fun but disciplined approach to learning, encouraging her students to develop their own musical ideas within stylistic parameters and set clear guidance for practicing between lessons. Aira grew up in the world of performing arts & began doing tip toes at the age of four. She has the mastery of the Royal Academy of Dance, RAD & holds a Level 4 Diploma in Advanced II Ballet which qualified her in achieving the Associate of the RAD title, making her one of the Philippines' most sought after dance educator. 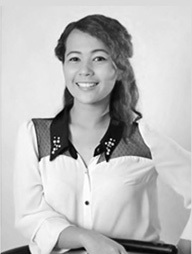 She's a Bachelor of Arts in Communication degree holder, major in Theatre & Film Studies at De La Salle University. This passionate artist was a recipient of the “President GMA Award of Excellence in Culture & Arts”, at sixteen. Ballet Philippines, CCP Dance School gave her a scholarship, at twelve. Her most notable ballet was her portrayal of Aurora for a classic, ''The Sleeping Beauty'' in 2012. In all her dancing career, she was mentored by respectable directors for Classical & Urban Ballet, Jazz, Contemporary, Hip hop, Aerial, Choreography & Arts Management. It was at the university that Aira gained deep insight into Theatre & Production. She's a Soloist of SALINDAYAW Dance Company & a Musical Theatre Actress on originals. Furthermore, she'd co-directed for films that garnered nominations & awards for local Independent Film Festivals. Before coming to Bahrain, she's a Faculty at Ballet Regina, Claravall Dance, & British School Manila. Consequently, she traveled to South Korea, a land where performing arts was flourishing & was trained by Seoul's finest Hip hop choreographers at K1 Studio in Hongdae. Aira is currently training for Aerial Arts & studies under the Pole Dance Community Syllabus. She’s one of the pioneer members of Ænigma, a newly established all-Filipino dance crew based in Bahrain and has been performing all over the Kingdom. Last November 2016, Ænigma won as the Grand Champion in the Season 1 of the dance competition, Bust a Groove, held at The Ramee Monroe Hotel, The Hub, showing precision in Contemporary. All that glitz & glamour shall always be loved by her. She's more than thrilled in joining the Ballare family while inspiring budding artists, & enriching their dancing souls. Marc started his professional dancing career on Philippine television when he was twenty one. He took part in an entertainment show, known as SOP on GMA, one of the largestnetworks of the country. He showed his precision in Modern dance, Hip hop, Jazz, Lyrical, Contemporary and performedon numerous live musical acts with the country’sleadactors and actresses. Moreover, he casted on severalextra acting roles on programs, mainly, MAYNILA, a youth-oriented TV series drama anthology. Being in the television and entertainment industry for about two years gained him profound understanding about choreography, production and management. Soon after, he travelled to Taiwan, Singapore, and South Korea and landed as a professional Dancer and Choreographer forsevenyears. Through his extensive years of experience performing with the best artists in South East Asia, he mastered his technique in Street Dance, Popping, Locking, Lyrical, Break Dance and Ballroom. He came to Bahrain in 2013, and in the same year, he led as theVice President and became one of the most respected Choreographers of the Philippine Dance Crew, PDC. Since then, he gained his reputation in the Bahrain dance community. In 2014, he decided to establish his own all-Filipino dance crew, named Pinoy X Crew. His dance group won in two consecutive dance competition presented by Bershka held at City Centre Bahrain. In 2014, Pinoy X Crew won 1st Place, and in the succeeding year, it was hailed as the Grand Champion. In 2016, Pinoy X Crew changed its name to Ænigma, a Latin word which means mysterious or ambiguous and began performing on various events. In the said year, Ænigmabecame the Grand Champion in the Bust a Groove dance competition held at The Ramee Monroe Hotel, The Hub. Marc is presently creating his name as an Artist and a Disc Jockey in Bahrain alongside with being an upright dance group leader. Being a part of the Ballare team fires his passion to share his endeavor in molding future dance professionals that will be onthe same level or better than him.